When the name Ivica Zubac was mentioned as Los Angeles Lakers’ #32 overall pick in the 2016 NBA Draft, fans were both shocked and surprised, not because he the unknown prospect is Croatian but because many have never heard of his name before then. Two seasons down the line the look of surprise and disappointment seen on the faces of fans during the draft had disappeared and fans have become at home with the Croatian player who is unarguably one of the most promising players not just in the team, but also in the National Basketball Association (NBA). The Croatian professional basketballer plays the center position and wears jersey No. 40. Below are all the other facts you need to know about him. Zubac was born in the town of Čitluk in Bosnia and Herzegovina on the 18th of March 1997. There is no information about his early life and education but there is about his career. He reportedly started playing basketball at the age of six with Cibona Zagreb and would later play for the KK Zrinjevac Zagreb (a second division Croatian basketball team) during the 2013/14 season and would make it to the list of Cibona Zagreb’s men’s team the next season. Ivica played in Croatia’s top-level A1 group as well as in the Adriatic League. During his first year, he played in his first year and in his 2nd year, he played in the FIBA Europe Cup. Due to financial difficulties faced by Cibona, he left the team in 2016 and signed up with Mega Leks of Serbia. He started his NBA career in 2016 with the Los Angeles Lakers who picked him 32nd overall pick in the NBA Draft. A few weeks later, he was on the team for the Summer League. Zubac made his NBA debut in November in a game against Atlanta Hawks where he came in as a fill-in starter for Timofey Mozgov. His best season game came after ten games with the team and it was in a game against the Denver Nuggets. He made a team-high thirteen points and scored eleven points. During his first season with the Lakers, he had other assignments with the team’s D-League affiliate Los Angeles D-Fenders. His second season with the team wasn’t near what one would consider a perfect season. Due to an unimpressive performance during the 2017 Summer League in Las Vegas, Zubac was placed on reserve during the regular season and he lost the backup center position role he was playing to Andrew Bogut. Thus, his stats dropped to 2.9 rebounds and 3.7 points in 9.5 minutes per game. With the decline, they thought the Lakers would terminate their contract with the younger player but they didn’t do that, rather they kept him on the roster, leaving his $1.5 million contract to run through the 2018-19 season. One thing they did, however, was to assign him multiple roles with their team’s NBA G League affiliate – the South Bay Lakers. 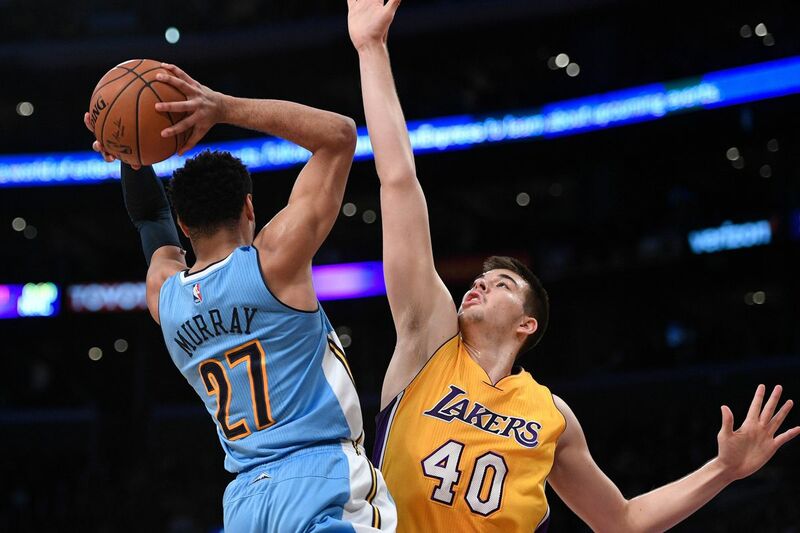 In 2013, Ivica Zubac played for the Croatian junior national team during the FIBA Europe Under-16 Championship and also with the under 19 teams during the FIBA Under-19 World Championships held in Greece in 2015, the team came home with the silver medal. He has also put up excellent performances in the 2019 FIBA World Cup Qualifiers games for his home country Croatia. The Croatian team was at the verge of elimination after recording 1-3 in their first four games, when Zubac came in to save them with his heroic performances which helped the team win the games against Italy and Romania ending the campaign at .500 with a 3-3 record. In the game against Italy, he scored twelve points in the 78-72 win and in the one against Romania he scored 20 points that guaranteed Croatia’s 90-63 win. Ivica Zubac is the son of Dijana and Ivan Zubac. The NBA player has a brother named Antonio Zubac. Ivica Zubac’s family is one closely knitted one and they are one of his biggest fans. They will sometimes travel such a long distance to watch him play and when they are unable to make it to the venue of the game, they stay awake even into the night to watch him play. the family owns vineyards, which they use mainly for recreational purposes and as well harvests its fruits for making wine for their consumption. Ivica has a girlfriend named Kristina Prisc, they met in Zagreb and she has followed him wherever his career has moved him to. When he was playing for Serbian league’s Mega Leks, she moved to Belgrade with him and when he began his NBA career in the States, she also relocated to the U.S with her beau. Ivica Zubac is arguably one of the tallest, if not the tallest among his team members. Standing at the height if 7 ft 1 in (2.16 m), he is surely on the list of the tallest players in the NBA. He weighs 120 kg, but his other body stats are not known.